Dulwich College Beijing was the second to join the Dulwich College International (DCI) family of schools, opening its doors in 2005 to a few hundred students. Dulwich College Beijing is made up of over 1520 students from age 2 to age 18, with over forty-five different nationalities represented in our diverse student body. Our links to Dulwich College, founded in 1619, are strong, and we collaborate closely with the other schools in the network to encourage an international outlook and create an extended community where academic ability is fostered, creativity is valued, and diversity is celebrated. We are proud to share a common heritage with all the schools in the DCI network, and equally value the traditions, unique to our school, that we have created since we opened. Dulwich College Beijing is much more than a British school. It is an International school in Beijing with British independent school ethos and values, which draws upon 400 years of excellence and tradition from Dulwich College. Our traditions and values form our culture and are firmly embedded in all that we do. They also build the sense of community and connect the school to past, present and future. We celebrate the traditions of our diverse families through a focus upon festivals such as Christmas and Chinese New Year. We observe events of global importance such as Remembrance Day, where the ultimate sacrifice that was made by over 800 Old Alleynians (alumni of Dulwich College) through war and conflict is honoured and respected. Founder's Day is an annual event on the calendar and a celebration of our links with Dulwich College and our sister schools around the world. It is our opportunity to enjoy everything that makes us Dulwich, and is always a special community day to remember. Every day we embody the best of the traditions of a strong British international school through our pastoral structures, such as our house system and the opportunities that we provide for our young people to confidently articulate their thoughts and develop their leadership skills. The system of pastoral care is highly developed at Dulwich College Beijing. Our class teachers and form tutors are responsible not only for every student's academic development, but also for ensuring they receive the pastoral support they need. Our school has a pastoral support team for students at all levels, and all of them follow a Personal, Social and Health Education (PSHE) course appropriate to their age and coordinated across the year groups. The House System builds a sense of community within the student body and helps to develop students' leadership skills. House Captains and students are responsible for helping to organise House activities, which normally take the form of friendly competitions. Named for Edward Alleyn (1566 – 1626). Actor Edward Alleyn, through his association with Philip Henslowe and Christopher Marlowe, ignited the theatres on London’s Bankside with thrilling and ground breaking plays. His most important legacy was the founding of Dulwich College, the “School of God’s Gift”, in South London 400 years ago. Named for Amy Johnson (1903 – 1941). Amy Johnson was an intrepid British aviator and the first female pilot to fly solo from Britain to Australia. She set numerous flight records during her career and rose to First Officer in the British Air Transport Auxiliary during the Second World War, transporting Royal Air Force aircraft. Named for Jesse Owens (1913 – 1980). In the space of 45 minutes in 1935, African-American athlete Jesse Owens set three world records in athletics and tied a fourth. The following year he was the most decorated athlete at the Berlin Olympics, breaking two Olympic records and winning four gold medals for the United States. He later became an inspirational speaker and spent much of his life working with youth groups. In 1976 U.S. President Jimmy Carter awarded him the Medal of Freedom, the highest American civilian honour. Named for Soong Qing Ling (1893 – 1981). Soong Qingling held several prominent positions, representing the Chinese Government in her travels abroad in the early 1950s. She demonstrated an unswerving commitment to human rights and the elimination of poverty. She was Honorary President of the All China Women’s Federation and formed the China Welfare Institute, dedicated to the welfare of children. She was named Honorary President of the People’s Republic of China in 1981, making her the first female president of an Asian country. Named for Sir P.G. Wodehouse (1881 – 1975). Sir P.G. Wodehouse was one of the greatest comic writers and humorists of the 20th century, sending up elite British society in fiction and drama. 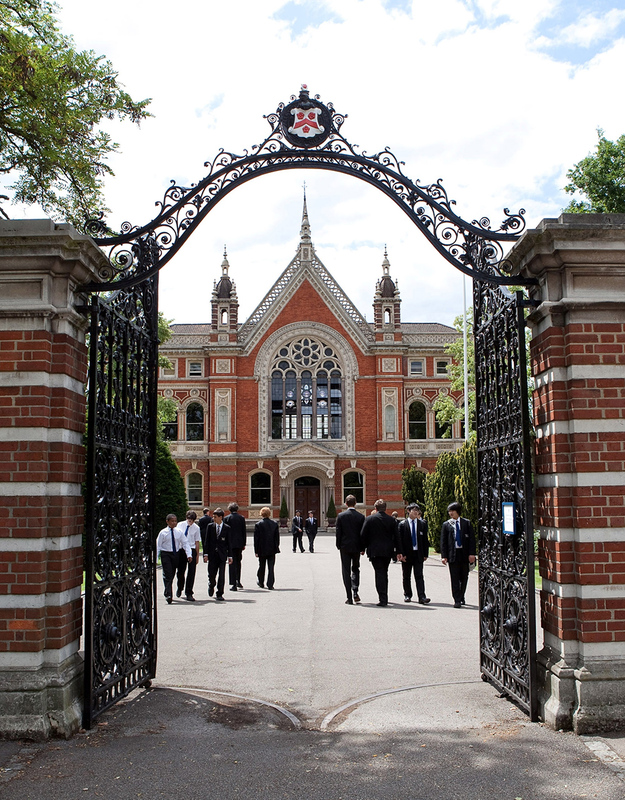 He was educated at Dulwich College, to which he remained devoted all his life. He published more than ninety books, forty plays and two hundred short stories. "Mentorship comes from our school’s ethos of respect and collaboration. We start allocating students to houses in Junior School, and ensure that the Senior School students encourage them to join in activities as well. We want to give voice and ownership"
Students from Reception to Year 11 wear the school uniform. School uniform isn't about conformity, but reflects a long-standing tradition from the founding school and is a badge of pride and school identity. See file below for details of our uniform.